I have been in the real estate world for over 10 years now. And as this industry has become more and more politically charged; I have decided to add to my portfolio in a unique and diverse way. Thus the launch of a new career at Larsen Geekery I am inspired passionately by only a few things in this world. My husband Jay and children Siona and Chani first and foremost bring me that joy. But sewing has always been in my life and also brought me a great deal of delight and satisfaction. My idea of fun is to create new classical fashion designs that are wearable for everyday life. I make creative fun clothing and accessories that are Steampunk Geekery. Historical styles to incorporate in your geekey convention and cosplay fun or classic pieces to just geek out in. Think fashion forward for everyday geekery. We will be blogging about new crafty designs and some old ones as well. 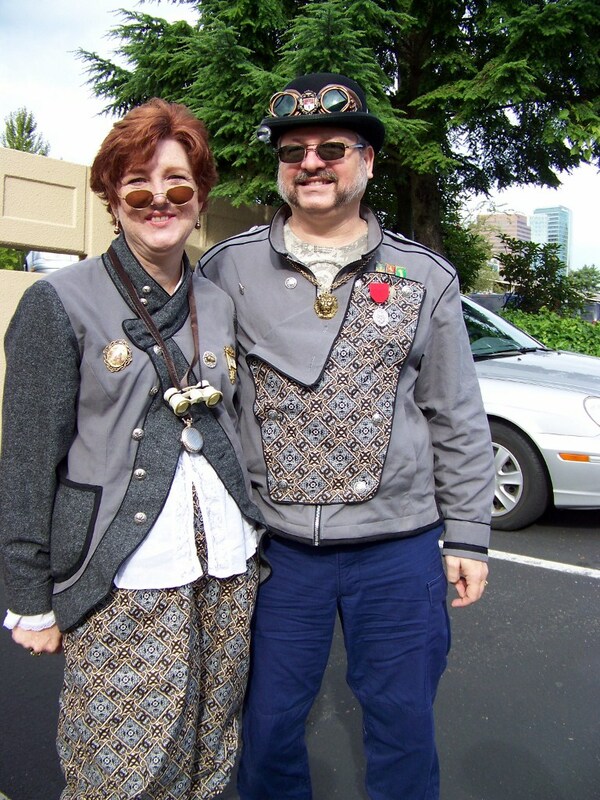 At LarsenGeekery.com we will be demonstrating crafts and construction tips, highlighting new creations and retailing some of our Steampunk Geekery and other fashion product lines. We’ll see you online and at the cons! So bring your geek on!